Glitter & Grit is a bridal boutique that curates original, non-traditional collections for the selective woman seeking a high-quality and unique experience. When I was planning my own wedding, I knew that I didn’t want to visit a busy bridal shop with salespeople pushing puffy, traditional gowns. I discovered and ordered my Wai Ching dress online, sight unseen. Realizing that not every bride-to-be would take that kind of leap of faith, my lifelong fashion obsession, love for working retail, and entrepreneurial spirit decided my fate... and the idea of Glitter & Grit was born. The wedding industry is full of people and organizations telling you what you have to do to make your wedding perfect. But I don’t believe in “have-to’s;” I encourage every couple to make the celebration of their union truly their own. Weddings, like marriages, can be brilliantly beautiful, but not without hard work and honesty; a little glitter, from a little grit. YOU DON'T HAVE TO CHANGE WHO YOU ARE TO BE A BRIDE... SAY "YES" TO ORIGINALITY! SATURDAY, MARCH 10TH WILL BE OUR LAST DAY ON BUTLER STREET. 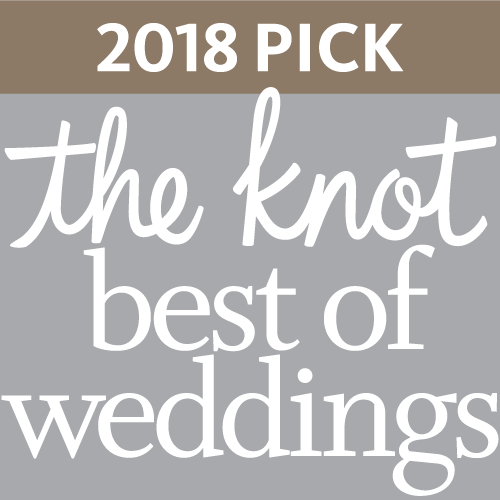 AFTER THAT DATE, YOU CAN FIND US MERGED WITH OUR SISTER STORE, LUNA BOUTIQUE... YOU MAY REMEMBER THE ANNOUNCEMENTS OF THAT OPENING LAST FALL - YOU VERY WELL MAY HAVE ALREADY VISITED, SHOPPING FOR A NON-BRIDAL DRESS FOR A SPECIAL OCCASION! FROM LUNA'S INCEPTION, COMBINING THE TWO STORES HAD ALWAYS POTENTIALLY BEEN A PART OF THE PLAN, BUT I WASN'T SURE IF OR WHEN THAT WOULD TAKE PLACE. IN THE FIVE MONTHS THAT LUNA HAS BEEN OPEN, ONE THING HAS BECOME CLEAR: THOSE OF YOU CURRENTLY IN THE MARKET FOR A WEDDING DRESS WANT TO SEE WHAT WE HAVE TO OFFER IN EACH LOCATION. SO WHY NOT MAKE IT EASIER FOR EVERYONE!? AS A COMPANY, WE'RE REALLY LOOKING FORWARD TO THE MOVE, AND CONTINUING TO FOCUS ON PROVIDING THE SAME LEVEL OF SERVICE AND SELECTION THAT GLITTER & GRIT HAS BECOME KNOWN FOR. BEING 100% PRESENT WILL ALLOW FOR MORE DEDICATION TO EVERY ONE OF YOU WHO COMES THROUGH OUR DOOR, NO MATTER YOUR OCCASION! Sign up with your email address to be among the first to receive info on news and events. We love and respect your privacy, and will never share or sell your personal information.